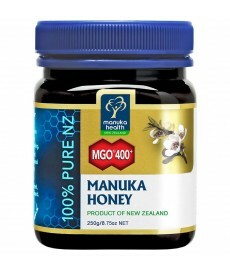 Manuka Health’s Propolis is gathered by bees from plants in New Zealand’s pristine environment. Alcohol free. Propolis is rich in amino acids and trace elements. It has high vitamin content and at least 38 valuable bioflavonoids, phenolic acids and esters including caffeic acid phenethyl ester or "CAPE". Manuka Health's Propolis has very high BIOflavonoid levels that have been independently certified to be at least 30mg/g (BIO 30), BIOflavonoids can be helpful in maintaining a healthy immune system. Apply directly in the mouth or throat using a dropper. 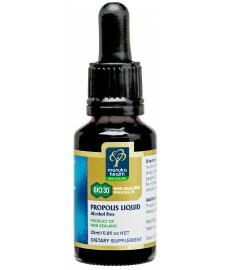 Or mix 4-6 drops of the Propolis Liquid in water. Use as gargle or drink up to 3 times a day. Dose can be increased if necessary. Can be applied directly to wounds and burns. 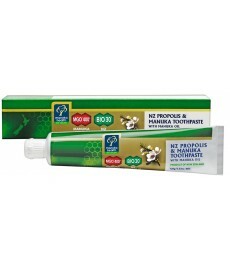 Pure New Zealand Propolis Liquid 250mg/g (25%) in a water-soluble propylene glycerol base. Store below 30º C in a cool dry place. This product may cause severe allergic reactions. Propolis is known as nature's antibiotic. Manuka Health BIO30™ Propolis liquid has very high levels of bioflavonoids and other bioactive compounds to stimulate, strengthen and rejuvenate the body while providing powerful support to the immune system. 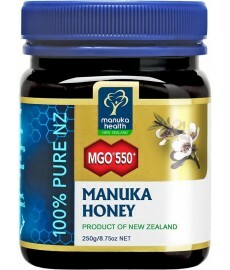 German scientists identified very high levels of Caffeic Acid Phenethyl Ester (CAPE) in Manuka Health BIO30™ Propolis. This natural product has antioxidant and antiseptic properties and has been independently certified to contain at least 30mg/g of bioflavonoids.